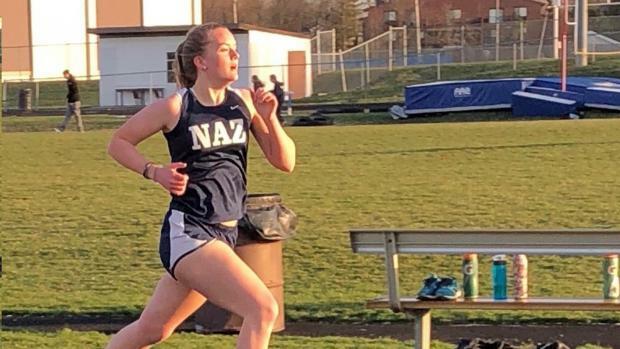 Fiona Roach, a sophomore at Nazareth Academy in Lagrange Park, competes in cross country and middle distance track events for the Roadrunners. Fiona is slated to cover meets in the Chicagoland area, more specifically the Western Suburbs. She wanted to be a Milesplit intern because of her love for running and the community that surrounds it; she also wants to provide accurate info to the public. An animal that best describes Fiona is a dog because she is friendly and energetic. Fiona thinks the best event in track and field is the 800m run. Her favorite sports team is the Chicago Cubs, while the food she enjoys more is smoothies. She is team iPhone and thinks that the best running shoes and sprint spikes are made by New Balance.